I remember Miss Venters but as the Headmistress of Chillingham Road Infants in the mid-50’s . My mother was a pupil at Cragside School from 1935 and she was evacuated to a farm in Bampton nr Penrith ….one of her lasting memories was of collecting eggs at the tender age of 10 or so and dropping one or two of these precious commodities ! Hi Brian, interesting that Miss Ventner became head at Chilli Road. You can’t imagine being removed from your family as a young child, can you? Especially to somewhere so different from the place you’re used to. I wonder whether that could be another interesting piece of research …where our members of 80+ ( or their children? ) can remember being evacuated to from Heaton schools and how was their experience ? I think there has been a similar project. Tyne & Wear archives have transcripts of interviews with evacuees including some from Cragside. I went to Cragside School from 1941 to 1945, during the war of course, and in the early days we carried our gas masks as well as our satchels. 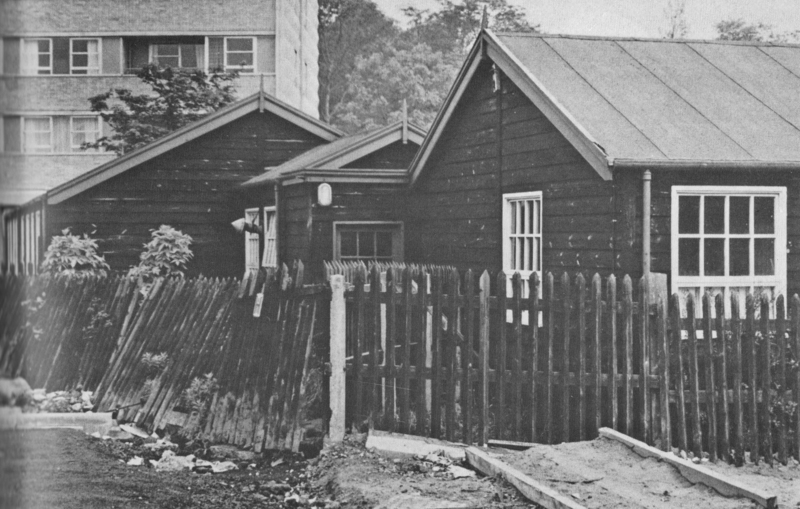 There were air-raid shelters of brick and concrete in the playground and although I cannot remember any serious air-raids in school time, we had warnings on some occasions and had to file out of the classrooms and into the shelters. 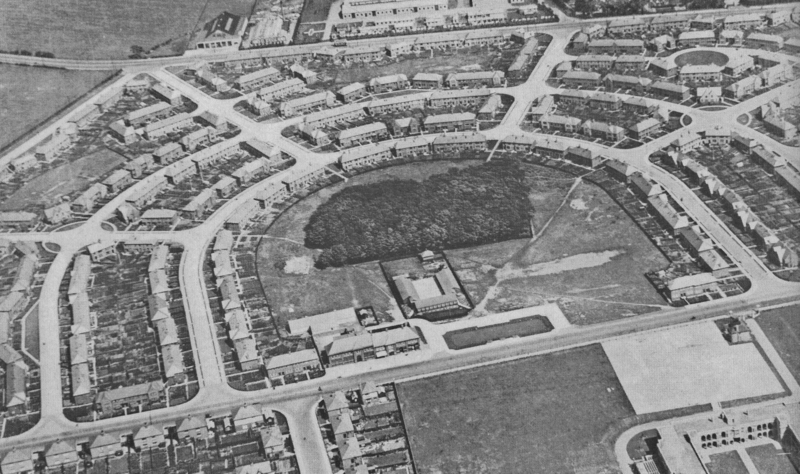 An emergency water tank for fire-fighting stood right in the middle of where the Newton Road roundabout is now. 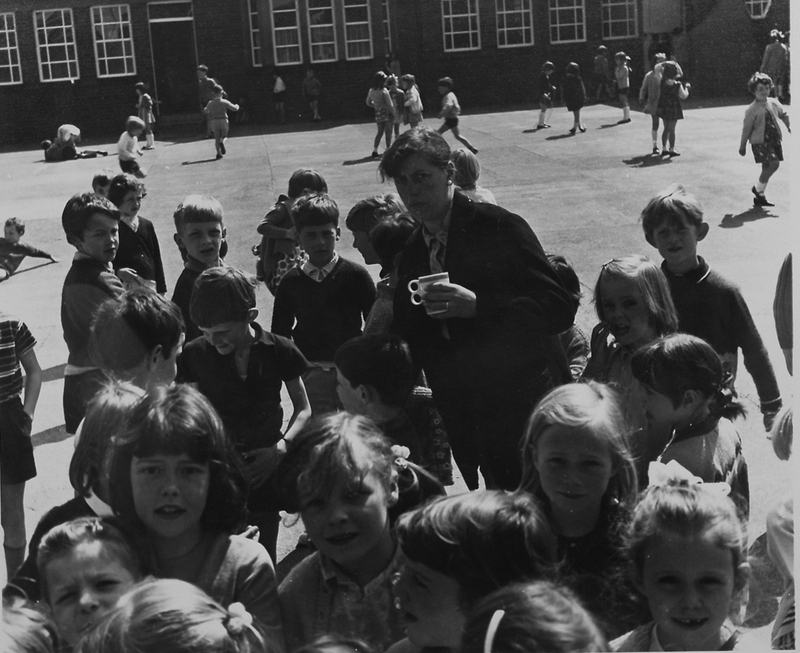 The Headmistress of the ‘Infants’ in those days was Miss Nattress and Miss Sturk was Head of the ‘Juniors’. Both were well liked and respected Heads who ‘ruled’ with a firm but kindly hand. Of the other teachers, the only names I remember are Miss Hopkins, Miss Henderson, Mrs Bass and Miss Gray. In my class were: David Wedderburn, Alan Mabon, Peter Muir, John Lamb, Eric Dale, Alastair Malcolm, Peter Dale, Jack Watson, Neville McKay, Alan Woodhouse, George Gilroy, Alan Cook, Brian Laws, Shirley Atkins, Anne Fairley, Anne Aire, Mavis Robinson, Audrey McDonald, Muriel Hodgson, Jean Heifer, Joyce Pollard, Joyce Quinn, Pamela Carey, Jean Bruce, Judith Richardson and others whose names I cannot recall. I wonder how many of them stayed in Heaton or still have connections there now? Eventually we had to leave Cragside and move to Chillingham Road School for six months, or in some cases a year. At that time for some reason, one could not take the ‘eleven plus’ exams at Cragside. ‘Chilli Road’, despite a good teaching reputation, was very old- fashioned in style and discipline compared to the happy atmosphere at Cragside, and the building looked old and forbidding even then. But we adapted to it. Other recollections … waving Union Jacks when the King and Queen drove down Cragside on a visit to Tyneside, I think in 1945 …. walking four times a day through the Spinney to and from school …. playing ‘hallers’ (!?) in the playground …. singing ‘Begone dull care’ and ‘Hope the hermit’ so often that the words have never been forgotten …. milk monitors and ink monitors …. and struggling hard to write ‘Compositions’ with titles like ‘A day in the life of a frog’ and ‘What I did in my school holidays’ .… and now, seventy years on, ‘What I remember about Cragside’. Does anyone have further memories or know the whereabouts of any of Maurice’s classmates? I have read the article by Mr. Geoffrey Wedderburn about Cragside School. I started school there in 1943 and I recall the Head Mistress as being a Mrs./Miss Natress and my Teacher Mrs/Miss Kennedy. A fellow starter was Kenneth Rook who’s father was a Lloyds surveyor. Does Mr. Wedderburn have any recollection of these two staff members, It would be interesting to hear. 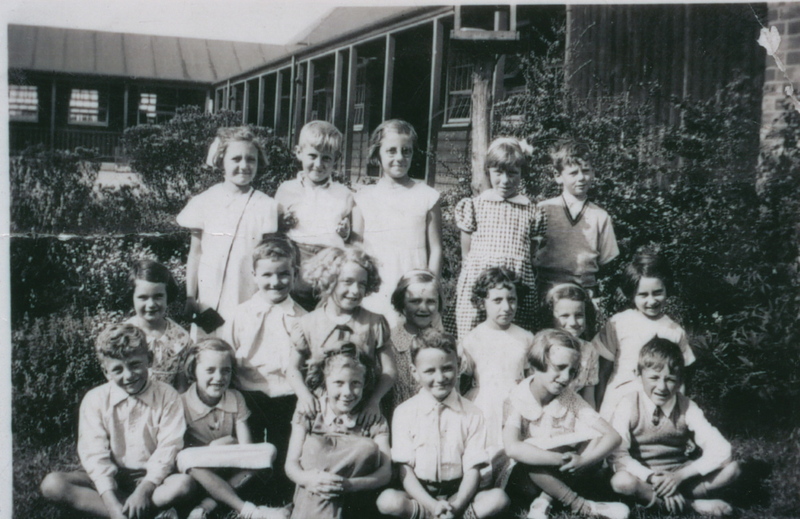 I started school at Cragside Infants School in 1943. Two teachers that I recall were Mrs / Miss Nattress and the other one was Miss Kennedy. Do any of your members recall these two teachers?